Republicans took complete control of Congress for the first time in eight years, when they installed 54-46 majorities in the Senate and took 246 of the 435 seats in the House, the most in more than 60 years. They ran straight into a White House veto threat against their top-priority legislation to build the Keystone XL oil pipeline. It was an offer the White House could and did refuse “If this bill passes Congress, the president wouldn’t sign it,” presidential press secretary Josh Earnest said before Boehner spoke. He said the measure would undermine a review process underway by the administration. But this wasn’t much of a surprise to most, Republicans have a long list of priorities, chief among them unraveling many of the president’s signature policies on health care, the environment, and banking. The day after the midterm election Boehner and McConnell promised to keep up their effort to repeal the Affordable Care Act, also known as Obamacare, which not a single Republican voted for when it was enacted. They recognize they don’t have the votes to get over a certain presidential veto of a complete repeal so are looking at smaller changes to the law that are supported by bipartisan lawmakers. The first week back House GOP leaders scheduled votes on two measures increase the threshold employers have to reach to provide healthcare to workers from 30 to 40 hours per week. One GOP bill deals narrowly with changing the law to encourage hiring more veterans and another is a broader proposal affecting all businesses. Boehner vowed he would fight to reverse the president’s executive actions, enacted in November, to allow roughly 5 million undocumented workers to remain in the U.S. Funding for the Department of Homeland Security runs out at the end of February. Late last year, Republicans would only agree to fund the agency, which needs to carry out the immigration orders, until then because they want to try to force the President to reverse course. The standoff has the risk of shuttering the department, which responds to terrorism, natural disasters and other politically sensitive matters. Republicans are readying action on this issue soon . Last on the list is foreign policy and national security. Cuba, Iran, Iraq and Syria likely will dominate the agenda. Republicans are vowing to push back on the President’s executive actions to restore diplomatic relations with Cuba but aren’t settled on a strategy yet on how to do it. They also oppose his negotiations with Iran over that nation’s nuclear program and may quickly call a vote on a bipartisan bill to increase sanctions on Iran. That could upset the delicate multinational talks that were recently extended. 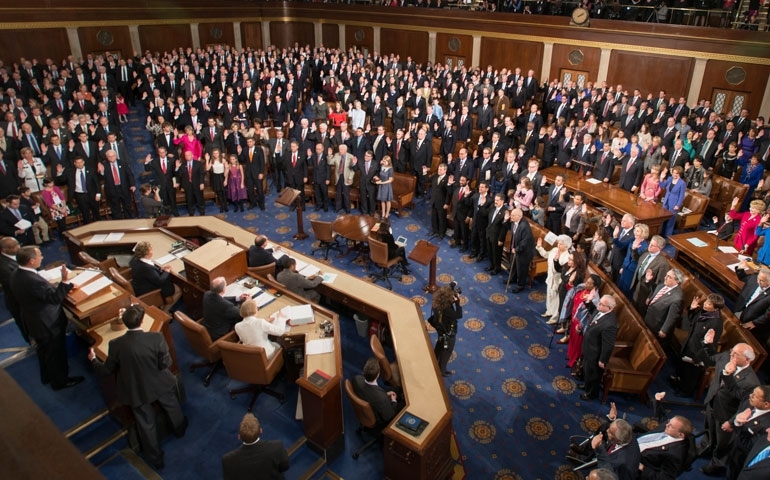 Congress is expected to act early in 2015 on a new use of force authorization against ISIS fighters in Iraq and Syria. That debate will focus on how much latitude to give the White House and whether to restrict the use of ground troops as many Democrats want. We will have to see what the next two years will bring with a newly appointed congress and a president that is standing his ground.